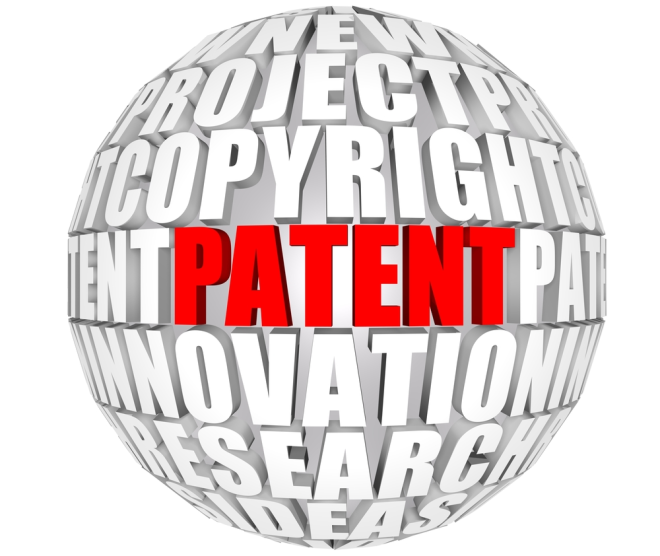 Many in Britain may not be familiar with the term ‘patent privateering’ – but that may all be about to change. British courts are apparently being targeted in a forum-shopping exercise by global monopolists, who are using this technique to reduce competition and innovation in the hi-tech sector. This new menace to the workings of efficient markets is rapidly gripping the global hi-tech sector and it threatens to stifle innovation, raise prices and constrain choice for consumers not just in Britain but across the globe. The threat has been dubbed ‘patent privateering’ and its impact on effective competition is already alarming. Patent privateering refers to the practice whereby corporations enter into private agreements with patent assertion entities (PAEs) - effectively separate companies with no assets or manufacturing capabilities. The process works along these lines: Company X and Company Y have agreements to license a specified number of patents from each other in order to create a product. What Company Y does not know is that Company X has a private agreement with Company Z (a privateer) to hold certain patents that are essential to the production of the product Company Y is creating. Once the product is in the market, the privateer, Company Z, threatens to sue Company Y. Since it may cost Company Y anything up to $2.5 million to defend itself, most companies opt to settle. So Company X benefits from a large share of the proceeds collected by the privateer Company Z. Such behaviour cramps competition and damages the end consumer – big time. This cynical form of economic rent-seeking is becoming more and more widespread. PAEs or ‘patent trolls’ as they are sometimes styled are now estimated to add a staggering annual burden of $29 billion on the back of American consumers alone[i]. Incumbents with a market share to defend are tempted to set up patent trolls – it’s often impossible to trace their real owner – to raise competitors’ product prices and shackle innovation and choice in the marketplace. By employing patent trolls the incumbents avoid counter suits which would risk their own asset base as well as attract unwelcome publicity and potential reputational damage. Media reports have begun to shine some light on these questionable practices. One of the most prominent is MOSAID, a controversial patent troll which collects royalties on 2,000 patents transferred by Microsoft and Nokia while another troll, Unwired Planet, is collecting royalties on 2,185 patents assigned by Swedish telecoms giant Ericsson. Another PAE, owned by a group including Goldman Sachs and Boston Consulting Group collects royalties for patents originally filed by our own British Telecom, which stands to collect half the proceeds from the patent. These developments risk turning patents into a tool of litigation rather than innovation. Abuse of the patents principle runs counter to the original intent of patents, which was a set of exclusive rights granted by a government of a sovereign state to spur innovation and provide entrepreneurs with a reasonable return for their innovative research collected on a fair, reasonable and non discriminatory (what lawyers term FRAND) basis. In the computer software industry over 100,000 patents are filed each year. Many of these are for innovations which are not particularly novel and are likely to be independently invented by a host of IT engineers. In practice, it is often impossible for a software firm to know that it is not infringing on an existing patent. In the US, where wilful infringement triggers treble damages if proved in court, software developers have a powerful incentive not to conduct a patent search. Competition watchdogs need to cast a careful eye on these worrying developments. Already in the US, the Federal Trade Commission (FTC) has begun to collect information on patent trolls’ corporate structures, their portfolio of patents and the way in which they acquire them and enforce them. Congress is also considering legislation[ii] aimed at outlawing deceptive patent demand letters and granting the FTC civil penalty authority to tackle this rapidly emerging threat to consumer welfare. In Europe, regulators have yet to really tackle the problem posed by patent privateers. Yet, as Robert Harris, a law professor at the University of Berkeley, California, points out, “Given the harm to competition that patent entity sponsored privateering, there are important roles for anti-trust authorities: blocking potentially anticompetitive patent transfers and bringing enforcement actions against anticompetitive conduct by patent entity sponsored PAEs”[iii]. Due to the lack of regulation of this anti-competitive practice, the courts in England, it seems, will be the first in Europe to evaluate and rule on patent privateers. Cases are expected to begin in the High Court from the end of 2014. U.S. courts have already suffered from bruising judicial battles that have proved a perfect case-study of how rent-seeking through the courts can harm the effective functioning of a dynamic market. The hope is that we do not have to learn the lesson the hard way, as the Americans have done. It’s about time our troop of regulators woke up to the threat posed by the growing ranks of rent-seeking patent trolls. [i] See ‘As Congress and Enforcers Contemplate Patent Trolls, Don’t Forget about Privateering’, by David Balto (a former policy director at the FTC), Huffington Post, 4 December 2013. [ii] The House Subcommittee on Commerce, Manufacturing & Trade of the Committee on Energy & Commerce has been holding expert testimony hearings on a draft Bill with respect to deceptive patent demand letters (see FTC testimony, 22 May 2014). [iii] PAEs & Privateers: Economic Harm to Competition & Innovation, Robert G Harris, Georgetown Law Annual Antitrust Symposium, Georgetown Law School, Washington DC, September 2013.